When we announced our new publishing house, we had several people ask if we accepted children's books, or those for the Young Adult category. Because of the interest, we also created PAINTED PONY BOOKS--an imprint for western and historical books for Middle Grade reader, Young Adult, and New Adult categories. We are open for submissions for this imprint as well! Our first venture will be a Christmas anthology called WISHING FOR A COWBOY. We’ve got a wonderful group of authors lined up for this collection, including some of our own Sweethearts: Phyliss Miranda, our Tanya Hanson, our Sarah McNeal, our Jacquie Rogers, Tracy Garrett, our Kathleen Rice Adams, Livia and me. 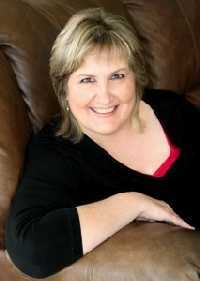 This short story grouping will be western historical romance, in the sweet to sensual category. All the stories have mentioned a certain holiday food, and the story is either built around the food or can just mention it casually. The recipes will be included in the back of the book. We are having a great time with this! 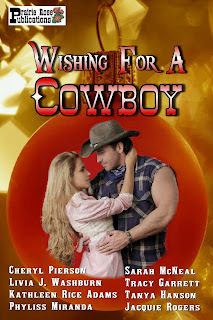 WISHING FOR A COWBOY will be available November 1, 2013, in print and digital formats—it’ll make a great Christmas gift for anyone--including yourself! So if you know of any ladies who might be looking for an honest publisher of westerns and western romances, please send them our way! Please wish us well on our new publishing adventure, and come on over to the website for more information on our submissions procedures. DO YOU BELIEVE IN DOWSING OR WATER WITCHING? My Uncle Ray was able to dowse for water, and he certainly was not a heretic. He might have been a little superstitious, but I’m not sure. We are of Scot-Irish ancestry, so there are a number of people in our family with the “sight.” Perhaps that's why he had the gift of dowsing. 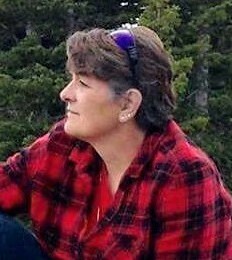 My friend Margery’s late husband was a dowser who always found water. 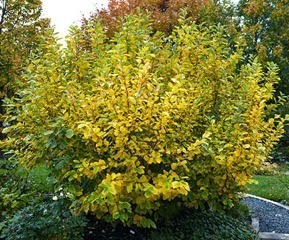 By the way, water witching gets its name from the branch of a witch hazel, not from witchcraft. Although Martin Luther proclaimed using the system to search for metals and riches violated the Bible's first commandment. Some water witches were supposed to be able to locate metals, lost items, etc.That's a whole other subject and I’m only discussing water, folks. Water witch can be a verb meaning the act of water witching. 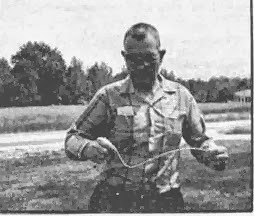 The two words also can be a noun describing the person who performs the dowsing action. She had never had faith in water witches and the like. Her brother urged her to get an old man who lived nearby who could water witch. She asked the man and he agreed. She was quite curious to see what he would do and if it would lead to water. According to Mother Earth News I learned some swear by the ancient Greeks used water witching. But the first written record of finding water with a forked twig is in Georgius Agricola's work, De re metallica, written in 1556.By the way, he discounted the practice. Until his death, Arthur Lee Brown had been witching for twenty-five years and found more than a hundred good wells. Arthur Lee claimed it came in spurts: You found a well for one person, and two or three other prospects cropped up. Many dowsers today use a pair of simple L-shaped metal rods. 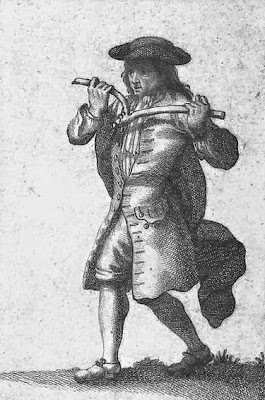 One rod is held in each hand, with the short arm of the L held upright, and the long arm pointing forward. When something is found, the rods cross over one another making an "X" over the found object. If the object is long and straight, such as a water pipe, the rods will point in opposite directions, showing its orientation. The rods are sometimes fashioned from wire coat hangers, and glass or plastic rods have also been accepted. Straight rods are also sometimes used for the same purposes, and were not uncommon in early 19th century New England. In all cases, the device is in a state of unstable equilibrium from which slight movements may be amplified. I suspect that like writing or baking or painting, each dowser has his or her own method. I know my uncle was successful as was my friend's husband. Neither man would ever take money for dowsing because they believed the talent was a gift from God and to accept money would be wrong. Since day one, people have told stories of adventures, hard times, frightening experiences, joyous events, and everyday life. Some are true, others, slightly exaggerated, and some complete tall tales. The most interesting ones were remembered and repeated, over and over, until, even if they had been true at one time, alterations may have turned them into unbelievable accounts that then became legends, folklore, or myths. 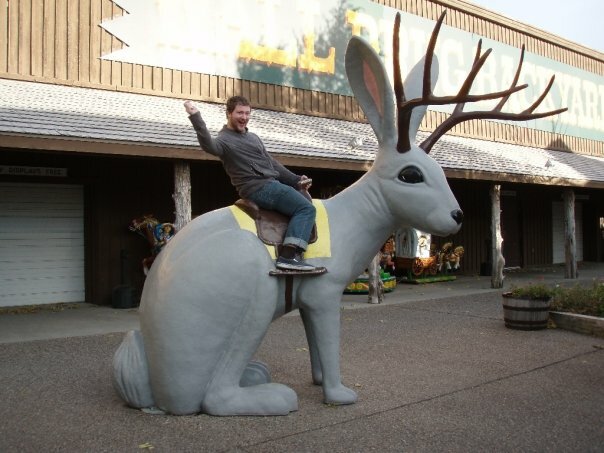 Such one is the jackalope. This is a statue of one at Wall Drug in South Dakota. Hubby and I are planning a trip to Montana and Wyoming, and while researching interesting places we’ll want to stop, he’s come across numerous advertisements for jackalopes. The Jackalope Capital of the World. Jackalope Country. Jackalope Hunting Season—which requires a license. The hunter cannot have an IQ higher than 72 and can only hunt on June 31st between the hours of midnight and 2:00 AM. LEGEND has it, John Colter, one of the first white men to enter Wyoming Territory, claimed to have spotted a jackalope. The animal was said to be vicious, and could mimic any sound it heard. Later, as cowboys gathered around campfires at night singing songs, they swore to have heard jackalopes repeating the words to the songs. They also claimed the easiest way to catch a jackalope was to set out a flask of whiskey. The jackalope would drink its fill, and then slow, because of its intoxication, the critters could be caught. The legend of jackalopes continued into the 20th century. Around 1930 two brothers, having studied taxidermy, went hunting one day. Upon returning home, one brother tossed a jack rabbit on the floor. The carcass came to rest next to a set of deer horns. 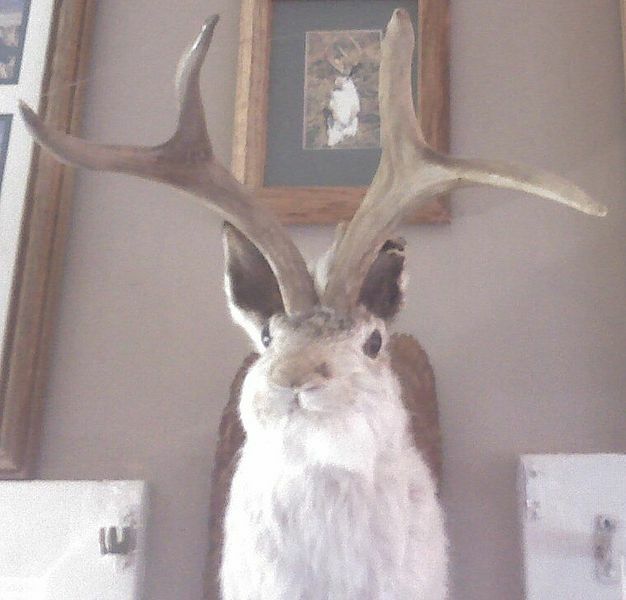 A short time later, the brothers sold the first stuffed jackalope for $10 to the owner of a Douglas, Wyoming hotel. The jackalope proudly hung there until 1977 when it was stolen. 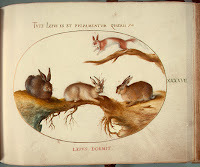 Actual illustrations of rabbits with horns go back to the 16th century. Papillomatosis, also known as jackalopism, is a disease which causes parasitic growths, sometimes resembling horns, on the heads of rabbits. Legend, folklore, or truth, that’s the jackalope tale. 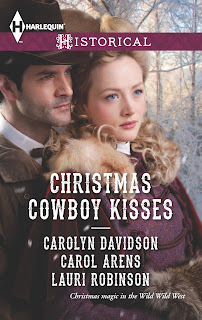 Although there are no jackalopes in my story, my next release (October) is set in Wyoming and part of Harlequin's Christmas Cowboy Kisses anthology. Snippet: Tanner Maxwell tugged his hat down and flipped the collar of his coat up to protect his ears from the biting wind whipping around the corner of the depot. Planting the sole of one boot against the wooden building behind him, he crossed his arms and leaned back. In the history of the American West, the saloon is a singular institution. A lot of U. S. history occurred in, or was influenced by, saloon activities. Some of the worst examples of human cruelty and callousness toward others occurred behind the swinging doors or in the alleys of such places. Now and then, great acts of uncommon human kindness also took place within these establishments. Preachers were ordained, weddings and christenings were carried out, church services were performed and medical emergencies were taken care of there, too. The saloon often served as a community center for town meetings, elections, and court trials. In 1835, New York City residents could imbibe in any of more than 700 saloons. By 1862, there were 3,000 saloons. Bowery drinking establishments averaged a half dozen per block. Side streets housed some of the roughest and most violent dives. Labor unions opposed saloons early on, demanding they be closed on Sunday, partly so they could organize bartenders. Towns that did not boast of at least one saloon were few and far between. The nineteenth century in America could almost be called the “alcohol millennium,” for drinking became extremely common. A shortage of alcoholic drinks would have been considered nothing less than a disaster. Even Jamestown, Virginia, in 1607, had a saloon or tavern. Using molasses from the West Indies, rummakers started about 1700. Other processes were discovered much earlier. Beer was made out of molasses and bran, persimmons, potatoes, corn stalks, pumpkins or any other vegetables that allowed for fermentation. New England farmers made sassafras, spruce or birch beer, along with hard cider. In colonial times, the words tavern and ordinary were the common terms for a drinking house. Also, grog shop, dram shop and “ye olde public house.” In 1644, Connecticut passed a law that every community must open and maintain a tavern. Massachusetts passed a similar ordinance ten years later. Glasses and steins shelved on the backbar were often numbered to indicate their capacities. Still, a glass of beer sold for a nickel regardless of the size of the container. Rye whisky was more popular in Eastern saloons, bourbon in the West and South. Both were recommended cures for effeminacy. Some generalizations can be made in describing the American saloon. The bar ran along the wall of the room’s longest dimension, usually on the left side as one entered through the swinging doors. Many of the best bars were made of dark hardwood and ornately carved. In the new settlements that cropped up during the gold rush years, rough boards set on top of barrels were not uncommon. Most saloons hung huge mirrors behind the bar, in back of shelves of bottles. A row of slot machines could often be found tucked into a corner. Gambling equipment occupied most of the floor space. At the back of the building, sometimes outside, private card rooms served the cowboys, bullwhackers, miners, drifters and professional gamblers forever to be found in these places. But note the door marked “wine room” at the left side of photo 2. This was a separate room for the benefit of ladies. Sometimes they were called tea rooms, with a splash of alcohol being served with their tea. At least one back door and several side doors were provided for hasty escapes. Adjacent to one of the rear exits was an enclosure called the “bull-pen.” Bouncers would throw unconscious drunks and particularly rowdy customers into this enclosure and leave them to sober up. Such customers rarely emerged with money in their pockets. Saloon floors were mostly puncheon and covered with sawdust to catch the drip of liquids (including spit) and any gold dust a customer might lose. Boys were hired to sweep floors once a week and sort out the gold from the sawdust. Smart boys crawled underneath any saloon with a crawl space and gathered up gold dust that had sifted through the floor boards. The image of the heavily pomaded bartender is more accurate than one might think. By running his hands through his hair after pinching out gold dust, the barman could recover a tidy sum merely by shampooing and panning the water afterward. On the other hand, the origins of the swinging doors considered a standard saloon fixture is uncertain. Such doors allowed easy entry and exit for unsteady patrons and provided a bit of a screen for the sensibilities of anyone who might be passing by, while at the same time, allowing glimpses inside, smells and sounds to lure in new customers. The way west could almost be traced by the establishments that grew up along the way as pioneers traveled the Oregon Trail and other routes. The same can be said for the railroad, which set up “hell on wheel towns” along the tracks for the benefit of railroad workers. Often these were abandoned as the work crew moved on, but some remained and towns grew up around them. Most saloons gave tokens instead of change when patrons paid for their drinks. These tokens would be good for one drink at that saloon, which helped to keep customers coming back. Tokens were often also good for a certain amount of cash, like 6-1/2 cents, five cents, even 12-1/2 cents. Other business followed these saloons’ examples, especially the dance halls and “houses of ill repute. Of course saloons still exist today, though few are called that. Thankfully, alcoholism is less rampant now, though it might not seem that way sometimes. How many old style saloons do you know of that still exist in America? 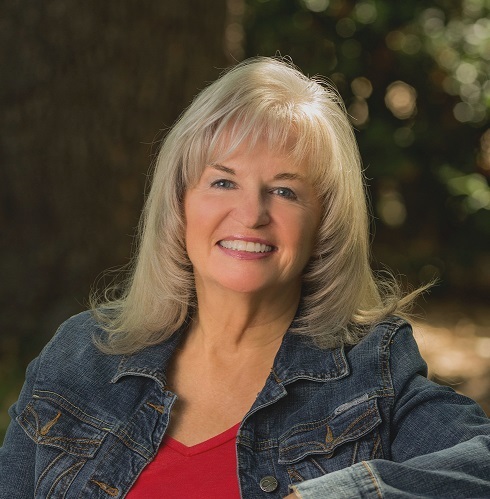 Charlene Raddon began her fiction career in the third grade when she announced in Show & Tell that a baby sister she never had was killed by a black widow spider. She often penned stories featuring mistreated young girls whose mother accused of crimes her sister had actually committed. Her first serious attempt at writing fiction came in 1980 when she woke up from a vivid dream that compelled her to drag out a portable typewriter and begin writing. She’s been at it ever since. 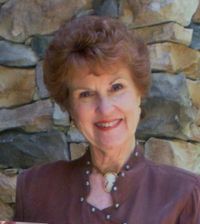 An early love for romance novels and the Wild West led her to choose the historical romance genre. 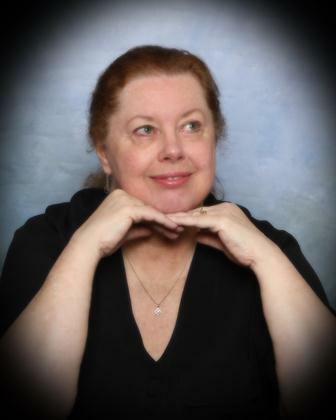 At present, she has five books published in paperback by Kensington Books (one under the pseudonym Rachel Summers), and four eBooks published by Tirgearr Publishing.A fifth, Taming Jenna, will be released by Tirgearr this November. 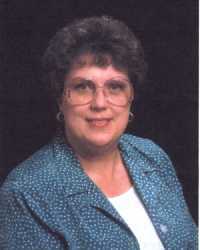 Charlene was an RWA Golden Heart Finalist, and received a Romantic Times Reviewer’s Choice Award Nomination. Today I’m going to share memories of my trip to Colorado some years ago. I’ve posted about this before, but I’m feeling nostalgic and thought y’all might enjoy seeing these photos. There's also a sad and beautiful legend I'll share with you. Founded as a mining camp in 1859, Georgetown grew to be known as “Silver Queen of the Rockies.” Nestled between granite peaks, it housed mine owners and managers in lovely Victorian homes, many of which still exist. The miners who labored to make owners rich lived farther up in Silver Plume. More about that later. First here are the photos I treasure of Georgetown. The Hotel De Paris, founded in 1875 by Frenchman Louis Dupuy, was a first class restaurant and hotel during silver boom days. Known for its fine French cuisine, it attracted wealthy patrons from all over the country. Georgetown saloon and restaurant where we ate lunch. I wish I could erase that trash bin! The bar looked like it might be original and the tin ceiling was beautiful. That’s me with the turquois shirt and long brown hair. Oh, for the good ole days! I love this little beauty! Then we headed up to Silver Plume, the miners’ town. I found the original of this photo on Wikipedia Commons. Since I wanted to use it in the book trailer prepared for me by Shirley Hicks, I painted out automobiles, light posts, etc. and changed the color of the snowy white street to look like hot summer sun shining down on the town. I hope this is somewhat the way it looked in 1875, minus miners, horses and wagons. The Plume Mine: Was Silver Plume named for the mine or visa versa? I can’t answer that. There are several legends about how the "Living Ghost Town" – also called a “Sleeping Town” because so few people live there year around – got its name. Another legend concerns Clifford Griffin who moved to Colorado with his brother from New York state after his fiancée tragically died the night before their wedding. His brother came to own the famous 7:30 Mine (where the day shift started an hour later than the usual 6:30). Clifford managed the mine and was loved by 7:30 miners for his kindness and generosity. Each evening he also entertained them, sitting on a cliff near the mine entrance – 1500 feet above Silver Plume – and playing his violin. Thanks to high valley acoustics, the entire town could listen to him play. To read about the Georgetown and Silver Plume of my imagination, I invite you to read Dashing Irish – Book 2 in the Texas Devlins trilogy. WAGONS WEST! BIG NOSE GEORGE!